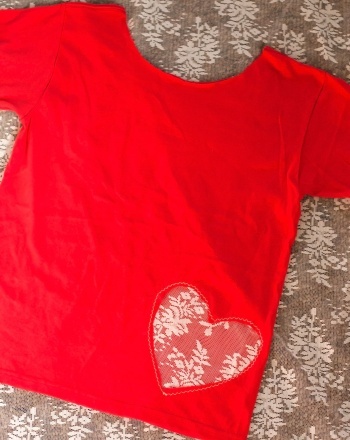 Students will be able to identify the different parts and functions of the heart. 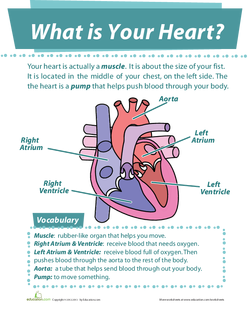 Tell your students that they will be learning about the heart today. Ask them to point to their hearts. 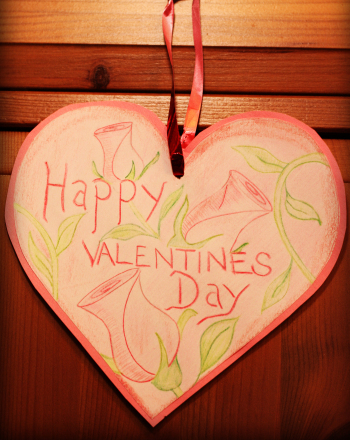 Pass out the What is Your Heart packet to your students. Go over the packet with your students, explaining the various parts while pointing to them. Explain to your students that the right atrium and right ventricle consist of blood that needs oxygen while the left atrium and ventricle consists of blood that is full of oxygen. The left atrium and ventricle push blood to the aorta which carries it throughout the body. 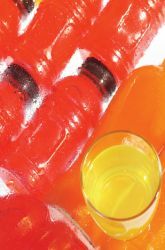 Inform them that blood has nutrients and glucose, which give people energy. 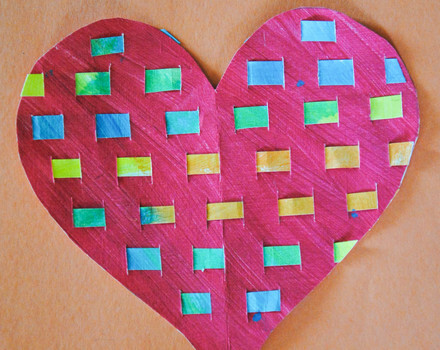 Ask your students to complete the second page of What is Your Heart with a partner. Go over page 2 as a class. 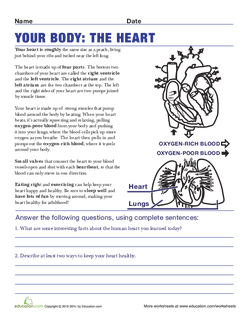 Ask your students to complete the Your Body: Your Heart worksheet. Enrichment:Ask your students to research one particular heart disease. Have them write two causes, two effects, and two treatments for the disease they picked. Ask them to record the information on a piece of paper and share it with the class. Support:Instruct your students to create two columns on a sheet of paper. Ask your students to label the first column KnowAnd the second column Learned. Have them write information they know about each part in the KnowColumn. Go over the information with students that is not in the column or incorrect. After you are done going over it, ask your students to fill in the LearnedColumn. 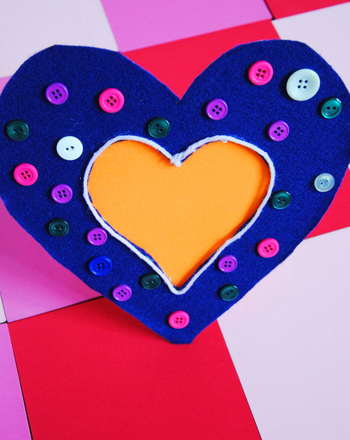 Conduct a short quiz on the parts of the heart. Potential questions include: What does the heart pump to the other parts of the body? What is the difference between the right and left ventricle? What pumps blood to the rest of the body? Is there an atrium on the left or right side of the heart? 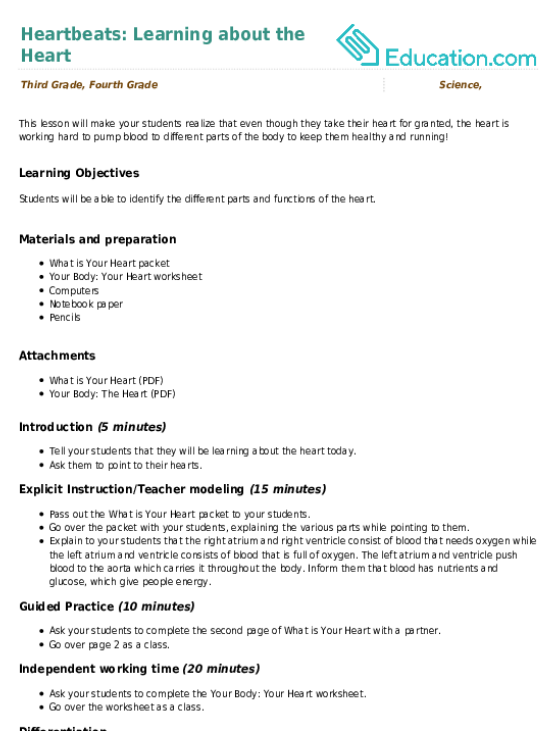 Conduct the Find Your Heart Rate activity on page 3 of the What is Your Heart packet. 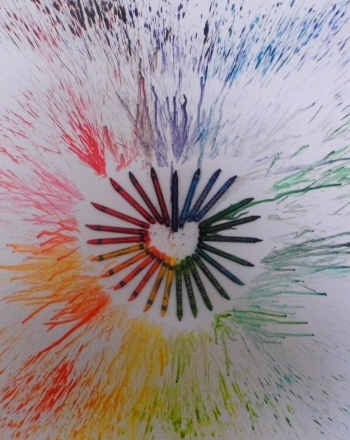 Ask your students to share what causes their heartbeats to rise and drop. Explain to your students that their hearts have to work harder if they are working harder. Explain that when they work hard, the other parts of the body require more energy, which the heart delivers. Therefore, the heart starts beating the faster a person runs. 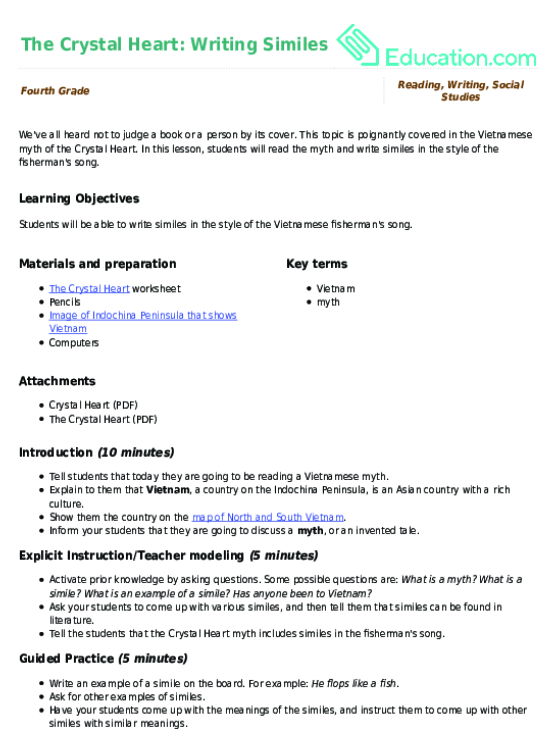 This topic is poignantly covered in the Vietnamese myth of the Crystal Heart. 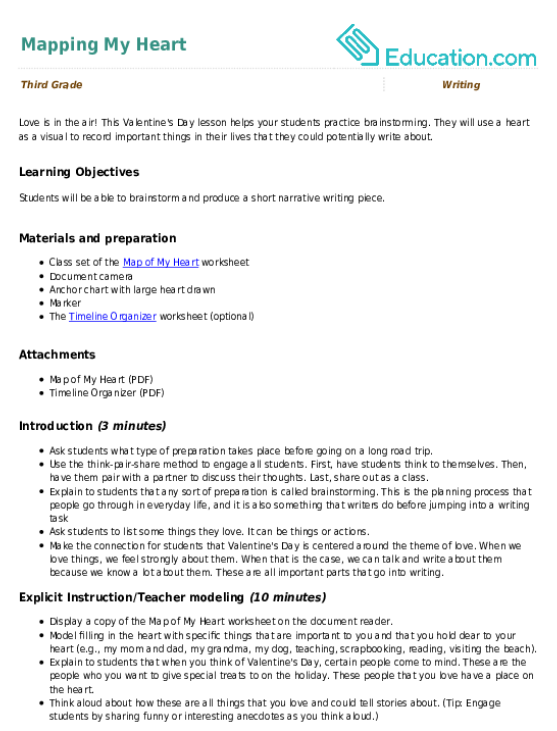 In this lesson, students will read the myth and write similes in the style of the fisherman's song.